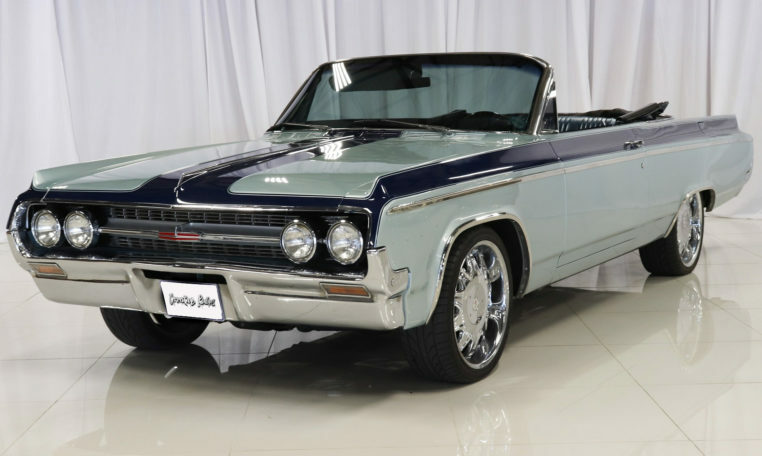 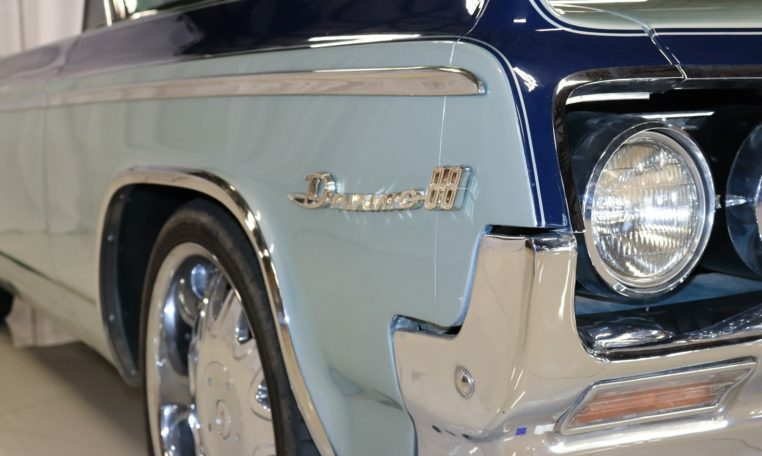 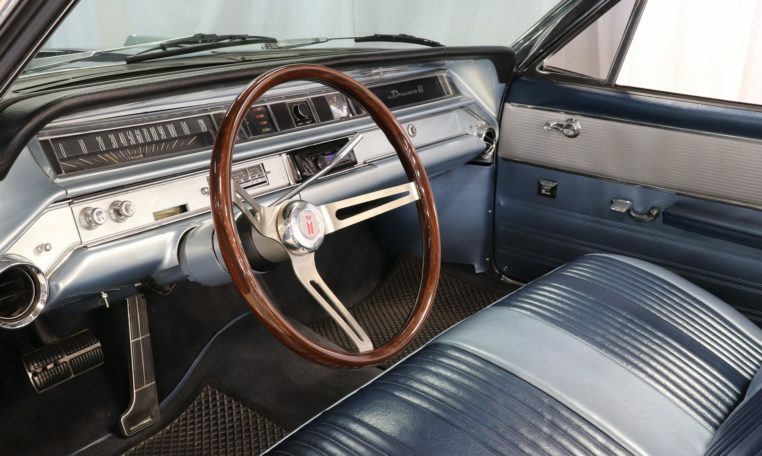 This 1964 Oldsmobile Dynamic 88 convertible is finished in two tone blue with matching vinyl upholstery. 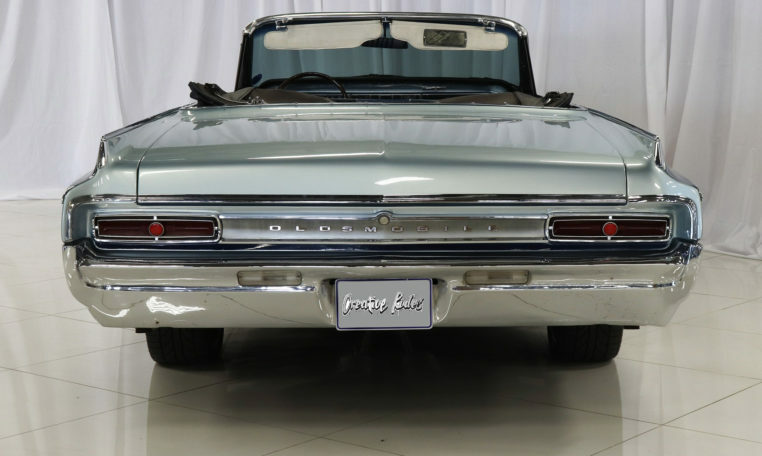 With a full size bench seat in the front and the rear the Oldsmobile Dynamic could comfortably seat six adults. 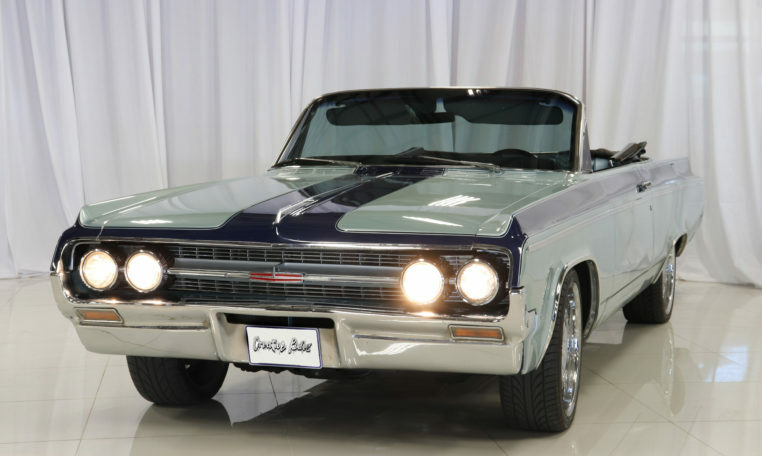 This 1964 Oldsmobile was the final full size car to be offered by Oldsmobile replaced by the B-body in 1965. 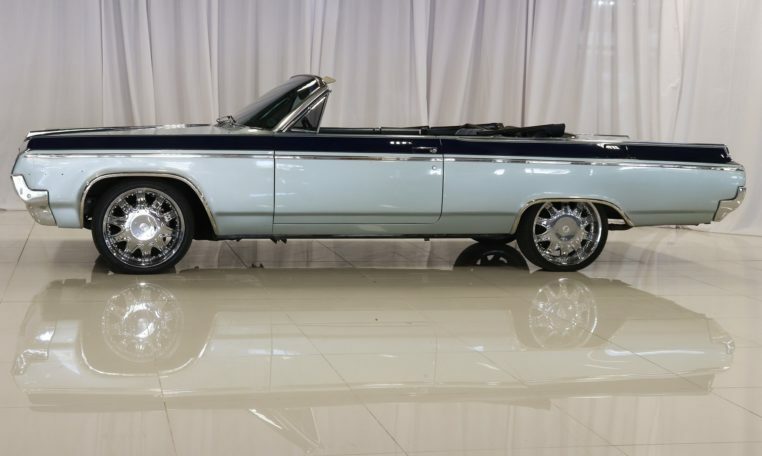 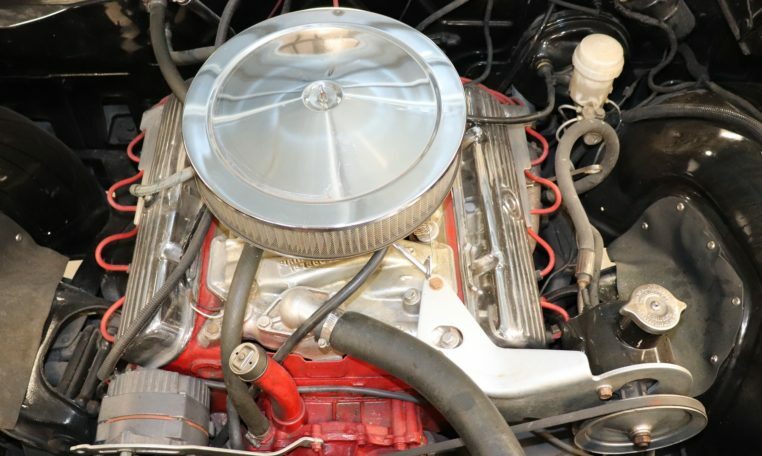 A total of 10042 dynamic 88 convertibles were produced in 1964 making this a very rare American classic. 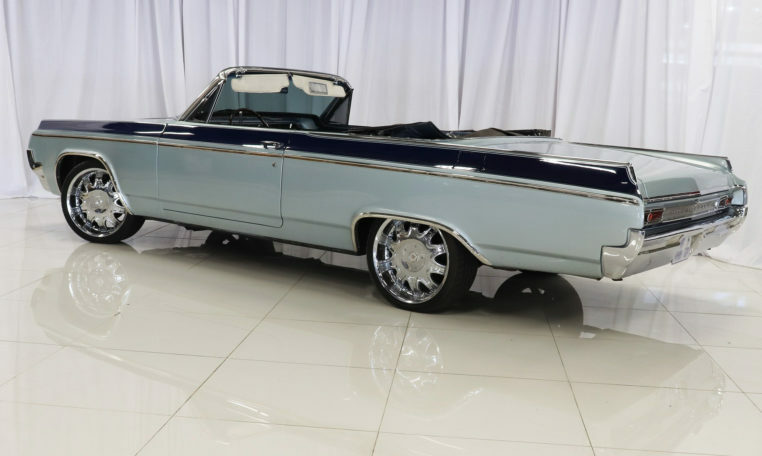 The 88 Oldsmobile range was first introduced in 1949 and continued production until its final offering in 1999.